In May of 1994 as Engineers we began to participate in the development of the the Internet. Realizing that we had a chance to be Pioneers in a major cultural shift in the United States we explored Ideas beyond those of the usual Software Engineer. Ideas that went beyond the development of the computer hardware and software that are used by Knowledge workers on the Internet. Imagination and Vision helped us "See" that there was an opportunity to offer homes to individuals and families interested in pursuing careers in Information Technology. Homes in one of the most beautiful mountain ranges on Earth; the Sangre de Cristo range, where the Beauty of the surroundings would be reflected in their work. 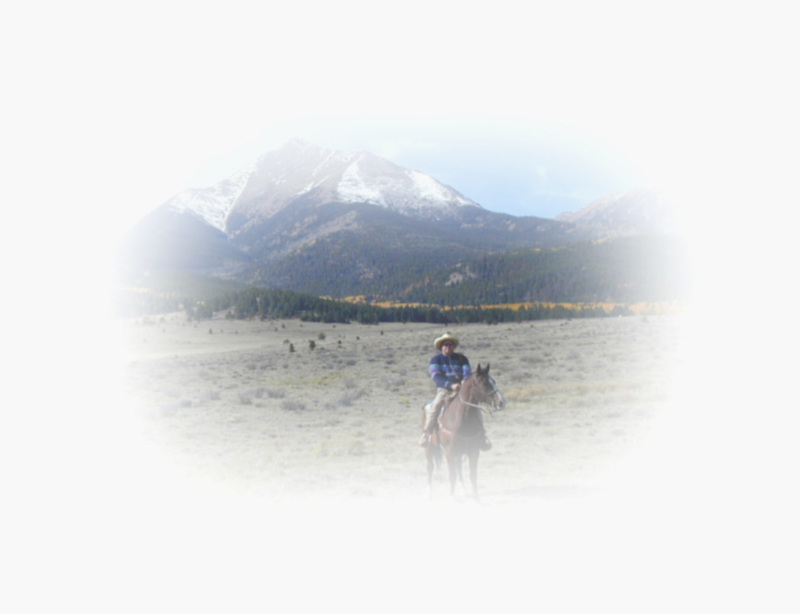 Out of these reflections and through the influence of the enchantment we felt when we looked at the mountains of the Sangre de Cristo range came the Ranch preservation project we call Sierra Mojada. After almost 20 years of Alpine climbing we were sensitive to the mountain environment so we started the designs by walking and camping on the 1640 acre property. We realized we had a chance to create a model for future developers in the area. Underground utilities seemed a must. No need to construct roads everywhere on the property. Why not cluster the homes in the NorthWest and SouthEast corners. When we looked at the preliminary designs we saw that we could use the plats and covenants to establish a virtual open space in the center of the Sierra Mojada Ranch. By designating building envelopes we are able to offer each owner a 35 - 70 acre Homestead where each Homestead contributes to the virtual open space. We realized that we could leave a substantial percentage of the original Ranch alone! Local Ranchers graze Hereford cattle in the virtual open space along side Pronghorn Antelope, Elk and Mule Deer..... in the Spring hundreds of thousands of Wildflowers create a carpet of color to please the eye.... Property owners hike and ride on horseback through the open space and into the adjacent Sangre de Cristo Wilderness with it's over 500 miles of well maintained trails. Professional Land Surveyors, Architects, Real Estate Brokers, Builders, Artists, Craftsmen and of course the members of the local Community were added to the cross-functional design Team that would be responsible for moving into the detailed design and construction phase. We Learned things from each other as we began to work as a Team. Minimal impact and flowing with nature was a major design criteria. Roads were designed and constructed that reflected the nature of wind and water. Large rocks excavated during the course of the installation of the utilities became landscape accents at intersections. Native trees were harvested to become the entrance structures. The Westcliffe community expressed a desire to subdue the impact of the homes on the natural landscape. Good Idea! We chose shapes, colors and materials for the first homes that blended with the surrounding vegetation. And so we worked together as a Team to finish the infrastructure and the entrance structures and design and construct the first homes. We invite you to meet the Developers/Engineers at our personal home at the Sierra Mojada Ranch.... Contact us via electronic mail: arthurvynb@sangre-de-cristo.net or call us at 1-866-SANGRES if you have any questions or if you would enjoy having the us take you on a tour of the property.
" Some routes to Happiness are easier than others..... Carefully follow the Path that seems like the most Fun! "